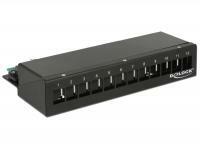 This Patch Panel by Delock can be mounted in a 10â³ cabinet. 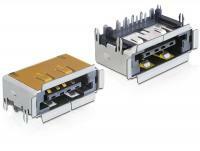 With its standardized dimensions, it is suitable for easy snap-in mounting of twelve Keystone modules. 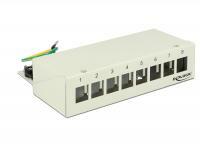 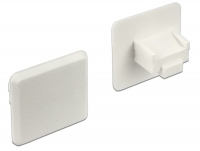 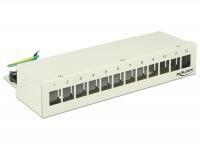 This patch panel by Delock can be used as a junction box on the wall or in enclosures. 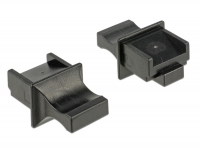 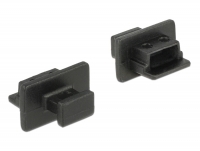 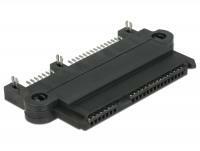 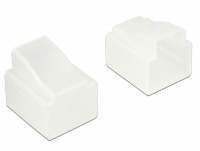 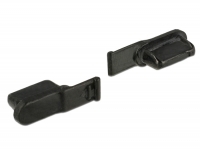 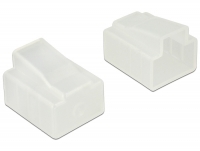 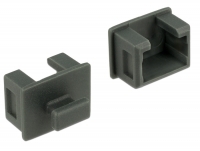 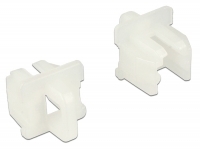 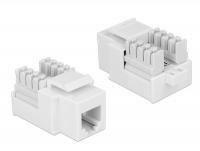 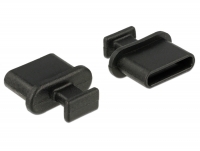 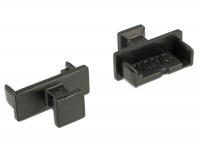 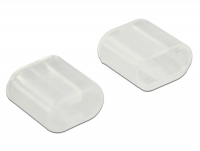 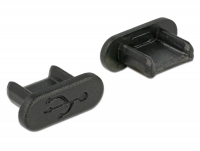 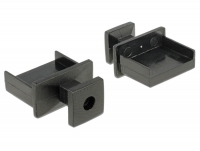 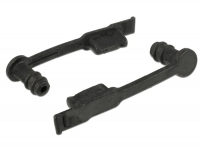 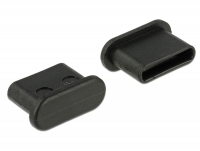 Additionally, clips for DIN rail mounting are included. 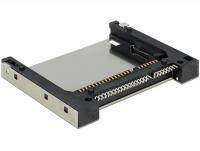 With its standardized dimensions, it is suitable for easy snap-in mounting of twelve Keystone modules. 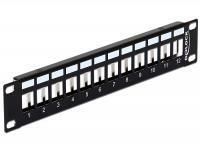 This patch panel by Delock can be used as a junction box on the wall or in enclosures. 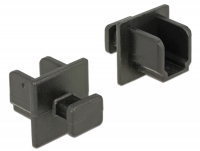 Additionally, clips for DIN rail mounting are included. 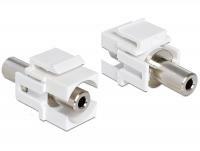 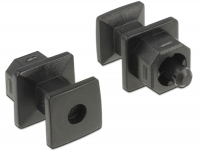 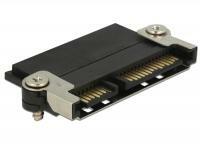 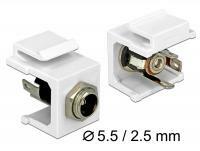 With its standardized dimensions, it is suitable for easy snap-in mounting of eight Keystone modules. 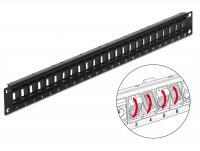 This Patch Panel by Delock can be mounted in a 19â³ rack. 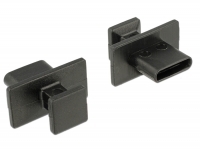 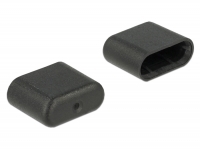 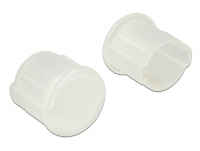 The rotatable Keystone ports allow for an angled and space saving installation of cables. 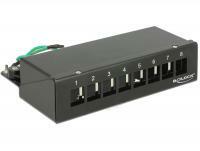 With its standardized dimensions, the panel is suitable for easy snap-in mounting of 24 Keystone modules. 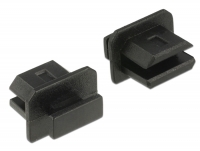 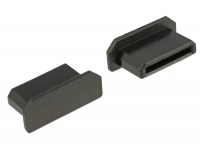 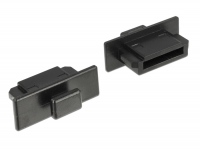 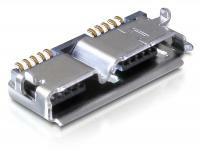 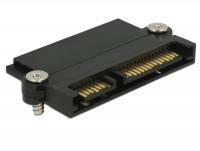 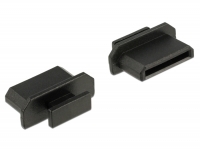 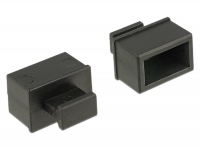 This connector by Delock can be soldered on PCB. 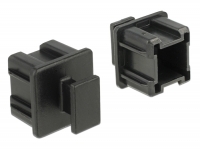 This DC installation socket by Delock can be installed in e.g. a housing or device and connect a cable to supply it with power. 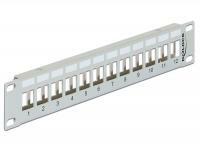 With its standardised dimensions it can be used for easy snap-in mounting in e. g. a Keystone patchpanel, face plate or surface-mount box. 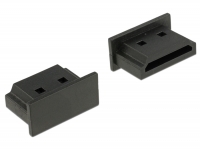 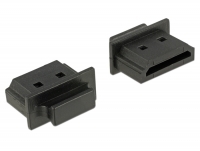 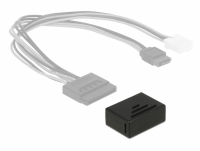 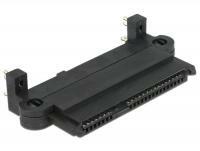 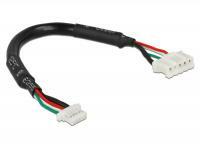 This connecting cable by Delock can be used to connect a module with 5 pin connector to a PCB.